Palmerston Dental Surgery is a member of Bupa’s Members First Network meaning that the fees charged to Bupa members are set by Bupa and consistent across all Members First clinics. Bupa members can enjoy certainty of out-of-pocket expenses and you’ll get between 60 and 100% back on most dental items*. While still accepting all major health funds, this means Palmerston Dental Surgery is able to team with Bupa in order to offer patients with Bupa private health coverage with reduced out of pocket costs on most dental treatments. However this will depend on your level of coverage, and it is best to consult with Bupa to determine your benefits. Everything Bupa do is for the health of its customers. Bupa is part of a global family that reinvests its profits to provide better services for their customers. Bupa believe this is the only way to truly put you first. 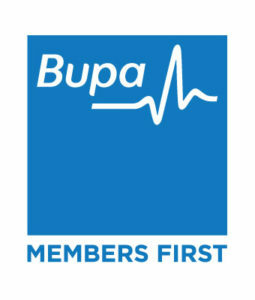 To read more about the Bupa Members First Network and the benefits you receive as a Bupa Member, please click here. *For most items when treatment is provided by a Members First provider. Based on selected product, fund and policy rules, waiting periods and yearly limits apply. Excludes orthodontics and hospital treatments.